Speculative Faith | The Struggle: Whom Do You Trust? 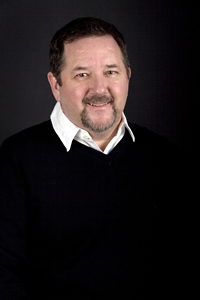 Bruce Hennigan grew up in Northwest Louisiana and became a physician practicing in the field of radiology. He was a church drama director for 15 years and wrote over 150 plays. He is a certified apologist, or one who defends the truthfulness of the Christian faith and speaks on this topic on a regular basis. He co-authored "Conquering Depression: A Thirty Day Plan to Finding Happiness” with Mark Sutton and this book was published by B &amp; H Publishing in 2001. An updated book, "Hope Again: A 30 Day Plan for Conquering Depression” will be released by B&amp;H in September, 2014. He is also the author of the supernatural thriller novels in the "Chronicles of Jonathan Steel”: "The 13th Demon: Altar of the Spiral Eye”, "The 12th Demon: Mark of the Wolf Dragon”, and "The 11th Demon: The Ark of Chaos”. He has two grown children and lives in Shreveport with his wife, Sherry. For more information, check out his website at brucehennigan.com and for more information on the Chronicles of Jonathan Steel, go to www.11thdemon.com. The Struggle: Whom Do You Trust? I believe most of us who are authors and follow SpeculativeFaith.com know full well how difficult it is to swim against the current. I am, of course, referring to the struggle for acceptance by mainstream Christian publishing. They are wary of the type of stories we write in this realm based on a theistic worldview. And, if you are a reader of speculative fiction, you are well aware of the difficulty of sometimes finding these kinds of stories. All you have to do is step into your local traditional Christian bookstore and ask for books by Mike Duran or Mike Dellosso or Linda Rios Brook, just to name a few! I am excited to see books by Tosca Lee and the big name himself, Ted Dekker, on the shelves. But, they are just the tip of the iceberg when it comes to this kind of fiction. I experienced this resistance head on from 1999 until 2009 when I finally connected with an agent who believed in what I was writing and a publisher who was willing to push the envelope and publish this kind of “edgy” fiction based on a Christian worldview. 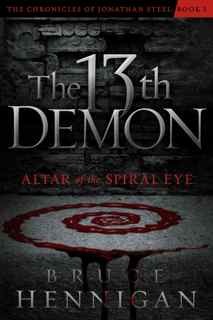 Originally self-published, The 13th Demon re-releases as book 1 of The Chronicles of Jonathan Steel series from Realms. My journey to that point in 2009 was ten years of struggle with first, a corrupt agent who subsequently was convicted of some kind of fraud. 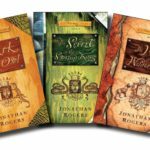 Second, I had to deal with an agent who did not want to even look at my fiction and only wanted to focus on non-fiction and told me, “Christian fiction is dying because it can only get published if it is stunning.” Then, I finally plunged into the realm of self-publishing and learned a lot. Such as bookstores will not carry your POD book. Or getting a gig on a blog talk radio show is not the same as getting on a big radio station. You realize this when your hosts tells you there are all of 10 listeners! Or, you end up being interviewed by Mama Celestial who wants you to do a psychic reading live on a telephone caller or that she knows what hell is like because she has visited the gates. Or, the UFO loving host who insisted we already knew about the latest discovered earth-like planets because our soldiers had already visited the planet in a refurbished UFO. Yes, I learned a lot and along the way, I finally found a fantastic agent who took my fiction and landed me a five book deal with a publisher who believed and celebrated my kind of fiction. 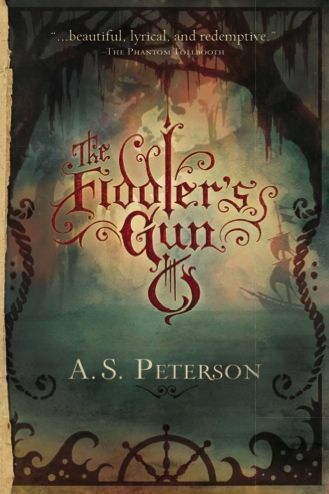 I mention all of this because I was fascinated with the journey of the book Fiddler’s Gun from the moment of conception to the moment of publication by A. S. Peterson. A couple of weeks ago, I wrote a post with an interview with “Pete Peterson” about Hutchmoot. But, during the interview I asked him about his books and how he had to struggle with acceptance by the mainstream Christian publishing industry. Namely, he was not accepted. Although it is not in the interview, he mentioned during his Q&A period at Hutchmoot that a Christian publisher was appalled at the inclusion of a relatively benign curse word in the book. He wouldn’t tell us what that word was but I think I just ran across it in the opening chapter of Imaginary Jesus when Peter uses what was probably one of his favorite expletives. He also told this story about the inspiration for the story: One Christmas, he decided to hide buried treasure for his relatives. He works with wood and actually constructed the wooden chests and hid prizes in them for Christmas. Then, he journeyed out into the woods and buried the treasure. He came up with an ancient appearing treasure map much like for a pirate’s buried treasure and this is what he gave for Christmas. That was an exciting Christmas day for their family as the kids and parents searched through the woods for their buried treasure. It was while putting together the treasure maps he got the idea that formed the heart of Fiddler’s Gun and the second book Fiddler’s Green. With all of that in mind, here is the conclusion of the interview with Pete Peterson. 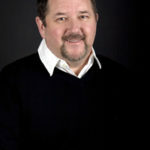 Check out the store at www.rabbitroom.com for copies of his books and they are also available for Kindle! Bruce: Getting Fiddler’s Gun published was an ordeal, I understand. How did you work around that frustration and move on to publish Fiddler’s Green? Pete: I don’t know that I’d call it an ordeal. It was one of the richest experiences of my life. It was certainly frustrating in the beginning while I was chasing publication via traditional channels, but my brother Andrew and I had been talking about creating the Rabbit Room Press for a long time and eventually we realized that it made sense to produce The Fiddler’s Gun as our first official title. It wasn’t an easy decision for me. I was worried about objectivity because it was my own work we were publishing. In general I think it’s a poor decision for an author to publish on his own, but I was persuaded by the fact that it wasn’t going to be a one-man show. It was a community effort. I put the manuscript past enough people with trustworthy literary leanings that I was eventually persuaded that I wasn’t crazy, that it was, in fact, a book worth publishing. So I hired an editor that I trusted and we got to work. It was a lot of fun. I especially enjoy the production side of the business—the design, typesetting, working with the printer. There’s a real art to creating a book that goes far beyond the story on the pages and I love that. We made a few missteps, but the book was a definite success, both financially and critically. I couldn’t have been happier. So we took all those lessons-learned and applied them to Fiddler’s Green and I think it shows. I’m really proud of that book. I carry around this fear that it’s probably the best thing I’ll ever write. So that got the Rabbit Room Press off the ground and we’re really excited about the possibilities. We just published the third book in my brother’s Christy Award-winning Wingfeather Saga, The Monster in the Hollows, and it’s doing well. We’ve got a couple more books in the works this year by other writers. I think we’re off to a good start. Bruce: Who are your favorite authors and why? Pete: This could potentially be a very, very long answer. The first one that comes to mind is John Milton. I think Paradise Lost might be the single most amazing thing ever written in our language. I have several copies around the house so that I can crack it open whenever I’m bored, and no matter what page I open the book to, I’m floored. His writing is kinetic, I can’t read just a little bit of it, it’s so lively that it carries me along from one line to the next and before I know it, I’ve been standing in the kitchen for twenty minutes with my mind full of his stunning imagery. One of the things that I love most about Milton is that he didn’t just happen to write this staggering epic, he meant to do it. He set out to compete with Homer, Virgil, and Dante, even daring to go on record and profess that that’s what he was doing. Can you imagine that? Can you imagine an author showing up on the Today Show and telling the public that he’s writing the world’s next great epic? That takes some serious chutzpah. But what’s really unique about him is that didn’t just talk about it, he did it. He knocked it out of the ballpark and people are still enthralled 400 years later. I want to believe that there’s a lesson there about the creative process. I don’t suggest that we ought to make big, brash claims about what we plan to do, but I do think that as writers, as sub-creators, we need to aim high. We need to shoot for the stars like Milton did. Most of us will probably fail, but that’s a noble failure, I think. Considering self-publishing? I have been that path and so, in a way, has Pete. The difference is he started his own independent press. One thing of note and this is what I learned from working with editors hired by a self-publishing company versus editors who work for a traditional publisher. Like Pete said, don’t presume that as writers we can be totally objective about or own writing. Although we wear the “editor’s” hat during the pre-publishing process there is something to be said about spending your good money and hiring a really good editor to help out. What is your opinion of the necessity of good objective editing in either a self-publishing format or in a traditional publishing format either mainstream or independent? What has been some of your experiences, bad and good, with your editor? 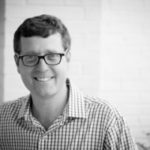 Bruce Hennigan is a practicing radiologist, novelist, dramatist, and apologist living in Shreveport, Louisiana with his wife Sherry. He is the co-author of Conquering Depression and his book series The Chronicles of Jonathan Steel will debut with the novel The 13th Demon: Altar of the Spiral Eye from Realms in October, 2011.